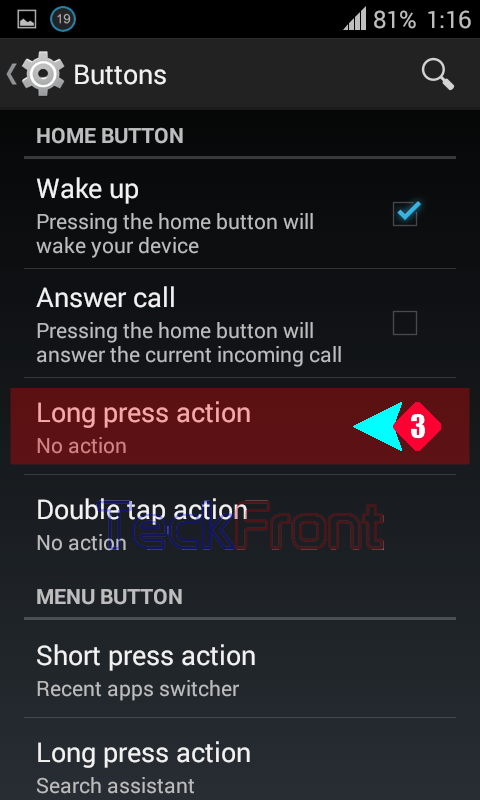 How to Set Long Press Action for Home Button of Android 4.4.4 KitKat Phone? 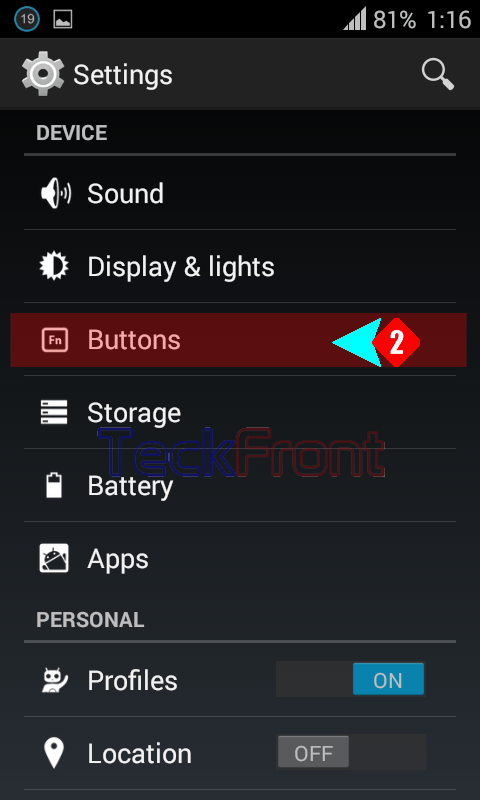 You may set the ‘Home’ button of your Android 4.4.4 KitKat phone for the various actions, depending upon your desire and/or requirements. 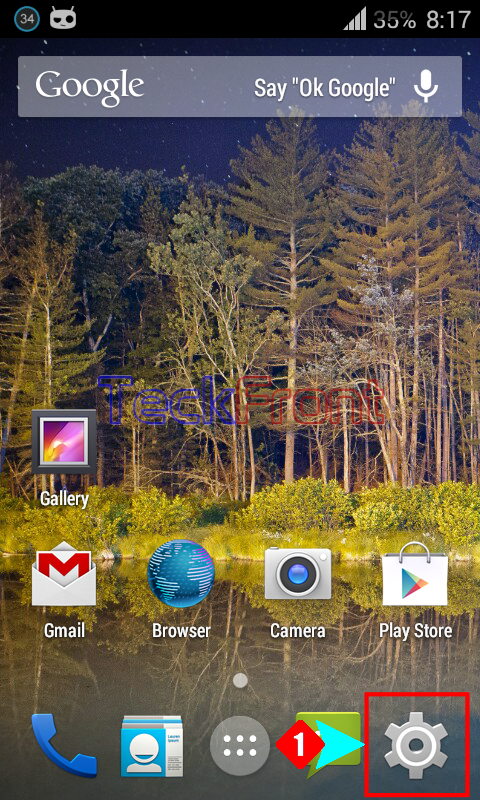 This feature is there in the Android phones, just to provide facility of easy operation of Android phones. It is easy if instructions are followed. Command Line: Settings > Buttons – DEVICE > Long press action – HOME BUTTON > Long press action. 2: Tap ‘Buttons’ under the DEVICE. 3: At the ‘Buttons’ screen, see the status of ‘Long press action’. It is; ‘No action’. Tap it to open the ‘Long press action’ prompt screen. 4: Here, again see the ‘No action’ is selected. 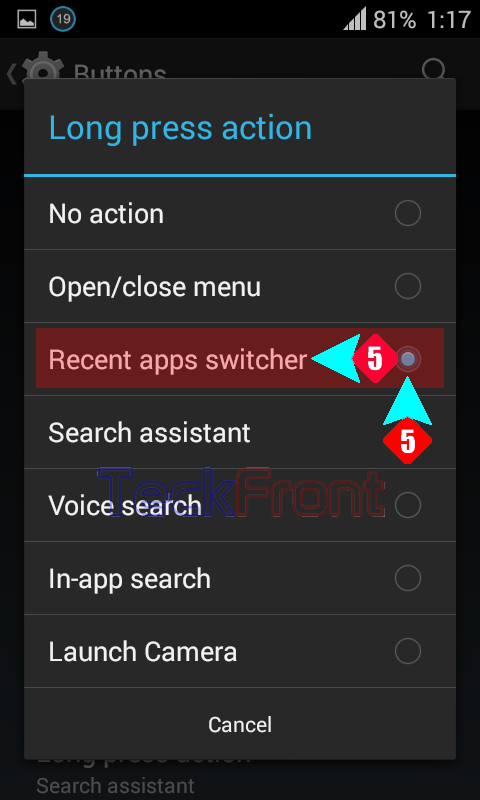 5: I tapped radio button, next to ‘Recent app switcher’, to select it. You may select any other button at your end. It will take you, instantly, back to ‘Buttons’ screen. 6: See the status of the ‘Long press action’ under HOME BUTTON. It is changed to ‘Recent app switcher’. Now, pressing the Home button will open up the list of all the recent apps. 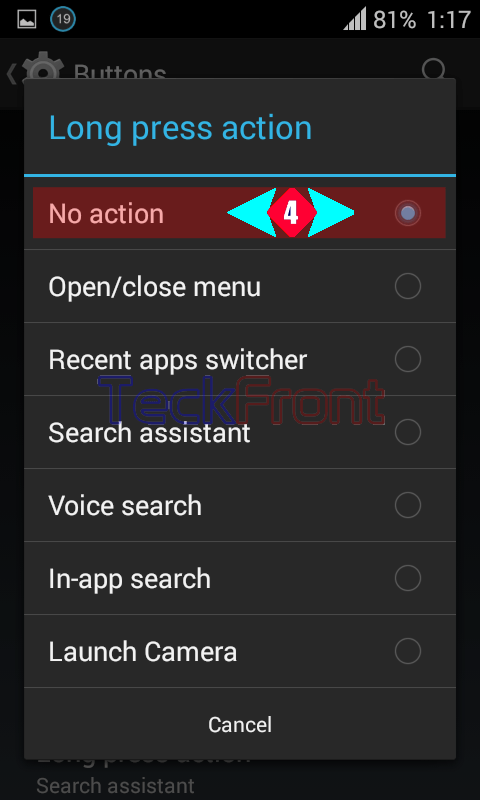 Older How to Add Contacts to Blacklist Messages in Android 4.4.4 KitKat Phone?